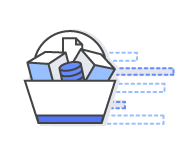 We are happy to announce the developer preview of the AWS SDK for Node.js version 3. This version of the SDK is a major rewrite of the 2.x code base. It’s written in TypeScript and adds frequently requested features, like modularized packages. In 3.x service client packages are created statically instead of dynamically at the runtime which improves performance and debugging experience. 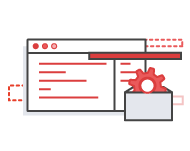 The developer preview is your chance to influence the direction of the new AWS SDK for Node.js. Tell us what you like and what you don’t like. Your feedback matters to us. Find details on various ways to give feedback at the bottom of this post. The new AWS SDK for Node.js can run alongside the version 2.x SDK in the same package to allow partial migration to the new product. As we get close to general availability for version 3, we’ll share a more detailed plan on how we’ll support the 2.x line.